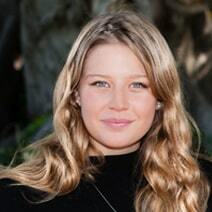 Grace Forrest is a founding Director of the Walk Free Foundation, an international human rights organisation focused on the eradication of modern slavery globally. Grace is a communication strategist for the Global Slavery Index and uses photography and storytelling to shine a light on the issue, capturing stories of identity, struggle and resilience. Her recent series “Faces” featured survivors of slavery in India and was exhibited internationally. Grace sits on the board of the Minderoo Foundation, one of the largest philanthropic groups in Australia. She is also an Ambassador for the Humanitarian Group and The Freedom Hub, which focus on community engagement and empowerment of refugees and survivors of trafficking in Australia. Grace holds a Bachelor’s degree in Arts, majoring in Political science, International Relations and Social Justice and is currently completing her Master’s degree in strategic communications at the University of Western Australia.